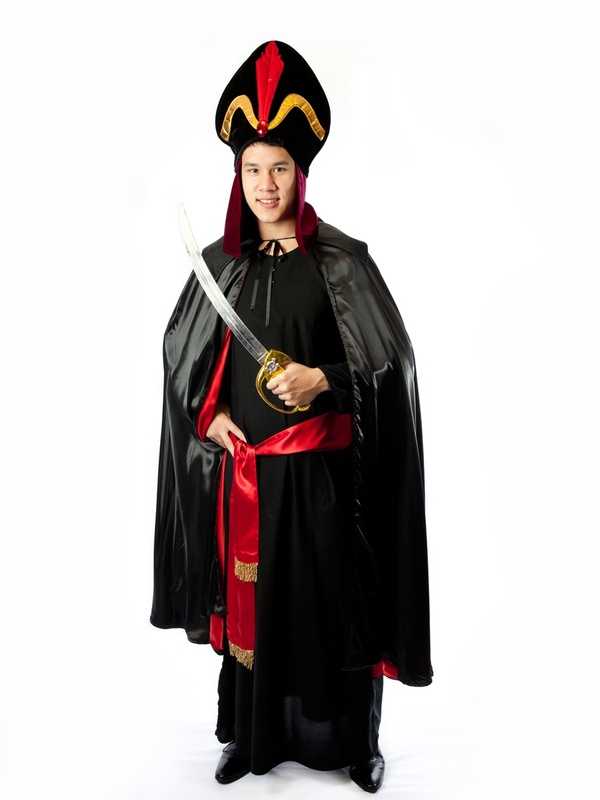 This costume is the popular villain and evil sorcerer Jafar from the Disney Aladdin movie. Great for Disney or Villains theme. 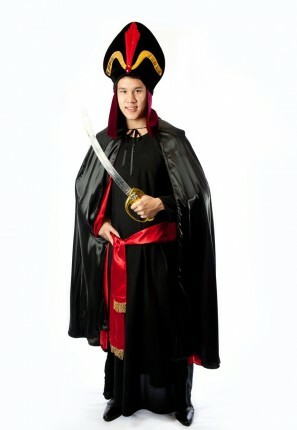 Costume includes long black robe, black cape, red sash and character hat. Sword is an optional purchase item.